Many people who know me think there isn’t a mean bone in my body. Those people have obviously never played games with me. Some games are designed to be mean, but in a fun kind of way. Whether I intend to or not, games require you to play a certain way and self-preservation means someone else is taking the fall. The first time I vividly recall doing it was last year when I played Student Bodies. I didn’t mean to cause the demise of one of the other players, but it certainly was funny when I realized what I did. Well, you know what they say about karma, right? It came back and bit me. This time, it was in the form of viking marauders as they pillaged villages and headed off on their ships. I may be over-dramatizing it a little. They may just be vikings trying to assemble a ship, load up some goods and head out to sea. Nonetheless, I was the sole victim of how other people were playing. Okay, we ALL were victims of how other people were playing! There are four groups of vikings, supplies of grain, metal and hide along with 39 ship pieces that will be used to build eight ships. While the vikings are in the village, they can do a number of activities that include building and rearranging sections of the ships, adding supplies to the ships, placing wagers on which viking will control the ship and ultimately completing the ship and sending it out to sea. 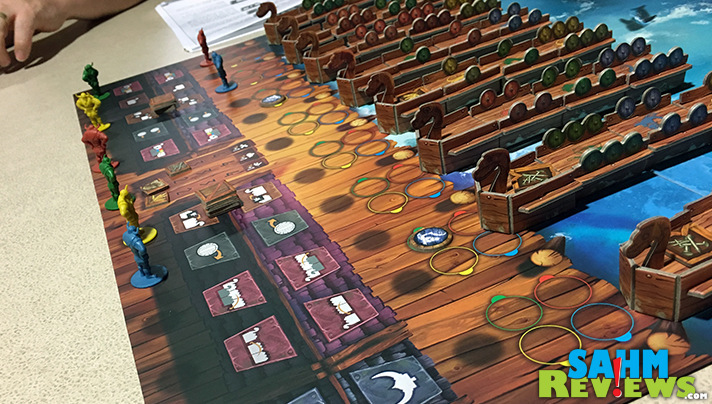 When seven of the eight ships have set sail, the game ends, supplies and scoring from betting are added up and the one with the most points wins. Here’s the deal, not everyone can do everything. In fact, each round only one viking can do any particular activity and actions take place in a particular order. Each round, all players select their action. With the exception of the random order selection for starting the game, player order is based on the actions taken in the prior round. Action options (in order) include: First player, promote a section of your ship, jump your ship to the back of another, bet, add a supply, increase the value of supplies in the marketplace, jump any ship to the back of another, bet/move a bet, select a supply to add, set sail and swap ships. All actions take place when they are chosen with the exception of setting sail which happens when all other actions are completed. That’s where things get messy. You may have a plan in place to take over a ship and set sail only to have another player rearrange who controls the ships. Only ships containing supplies can leave the dock. While you get to decide which ship to send out, often you’ll discover all your opponents have rearranged to ensure you won’t be sending out your own. When a ship leaves, the supplies on it are divided among the vikings on board. If there is only one supply chest, then the viking in command gets it. Seniority is determined by the number of shields on the ship. If there are two supply crates, the commanding viking gets the first and the second in line gets the next. Supplies and betting are the only two ways to earn victory points so this is key. So let’s talk about betting. Each player is provided with four betting tokens ranging in value from 1 to 4. 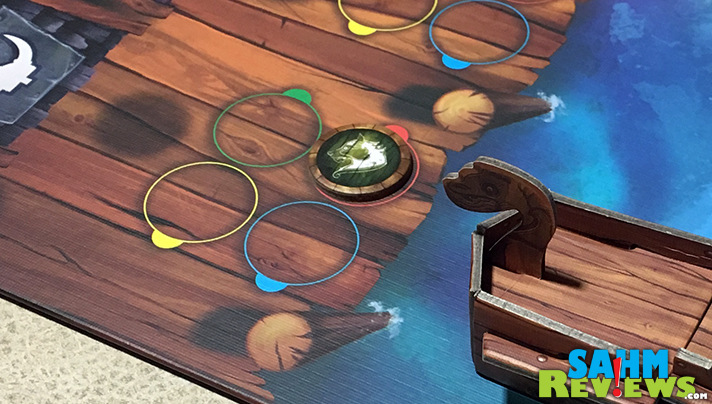 If you think you know who will be in command of the ship when it leaves, you place a bet on the dock by placing one of the tokens in the appropriate spot. When the ship sails, the player who bet correctly earns those points. Everyone else leaves their bets on the dock with the option to bet on another ship later. 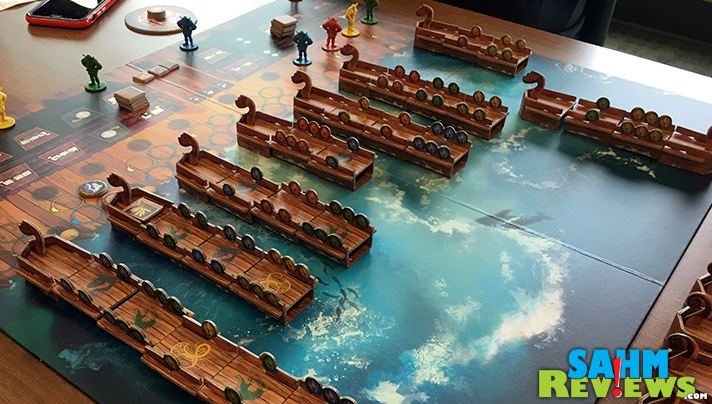 Rounds of Vikings on Board continue until seven of the eight ships have sailed then the game ends immediately and players tally their victory points. We’ve only had a chance to play it a few times but everyone who has played it has agreed it is a very mean game. One person said she would never had considered trying it because she doesn’t like games that require you to be do harm to other players. BUT she said she really liked this one and would definitely play it again. The main reason is because your actions can be positive in nature but work to someone else’s disadvantage unlike other games that are designed simply as attack and no other reason. 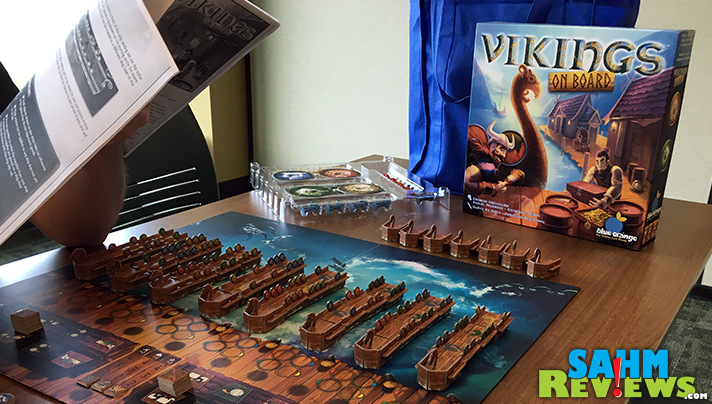 Despite the theme, Vikings on Board is actually easy to learn and is a very family-friendly strategy game. 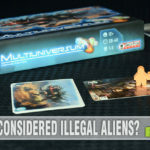 Blue Orange Games has a variety of other games requiring in-depth, strategic thinking in addition to a long line of family-friendly games. 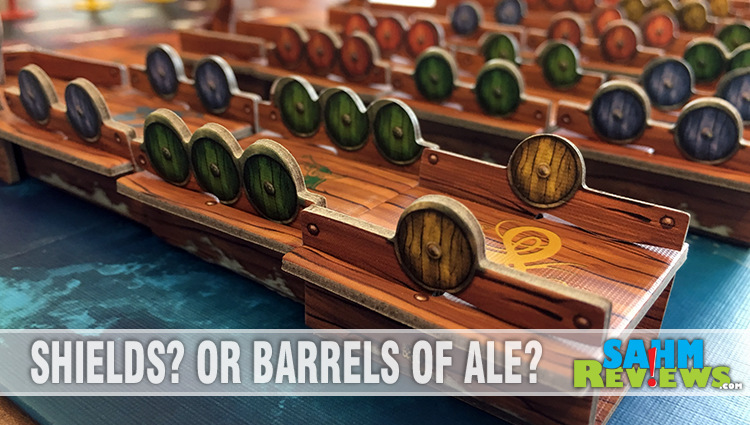 Learn more about what they are rolling out in addition to Vikings on Board by visiting their website or following them on Twitter and Facebook. If you are attending Gen Con and want a copy, get there quickly as there are only limited number being released. Otherwise, keep an eye open for it when it releases on Amazon! 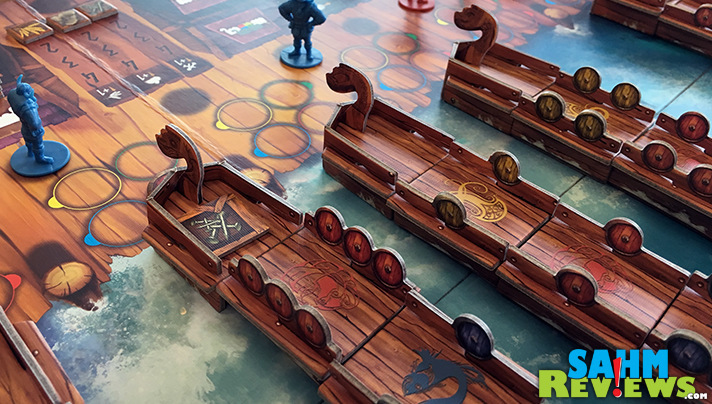 Do you like games that bring out your inner viking? This looks like a really cool game! Another interesting find you’ve found! It sort of reminds me of Risk meets chess meets Stratego. Sounds like this game has a lot of strategy to it! I do love the way they made the graphics – very “Viking-ey”! What a fun game. My son has always been fascinated with Vikings. I bet he’d enjoy it. 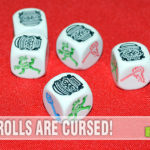 What A Cool Looking Game, I Bet My Son Will LOVE This He’s ALWAYS Up For A Challenge!! 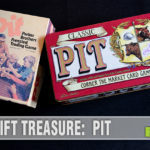 This looks like a lot of fun – we are a game playing family. And those Viking ships – so cute! 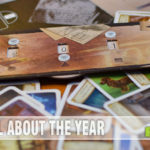 Interesting review of the game from BOG. Components sure look pretty. This looks like a fun one to play with my family!